We’re podcasters. So how important is it that we know how to write well? Well, it turns out, very important. Laura Petersen is a bestselling author and host of Copy That Pops, a podcast (with nearly 150 episodes) that dishes all the inside information about energising your writing, getting your book published and navigating the chaotic and crowded field of blogging. 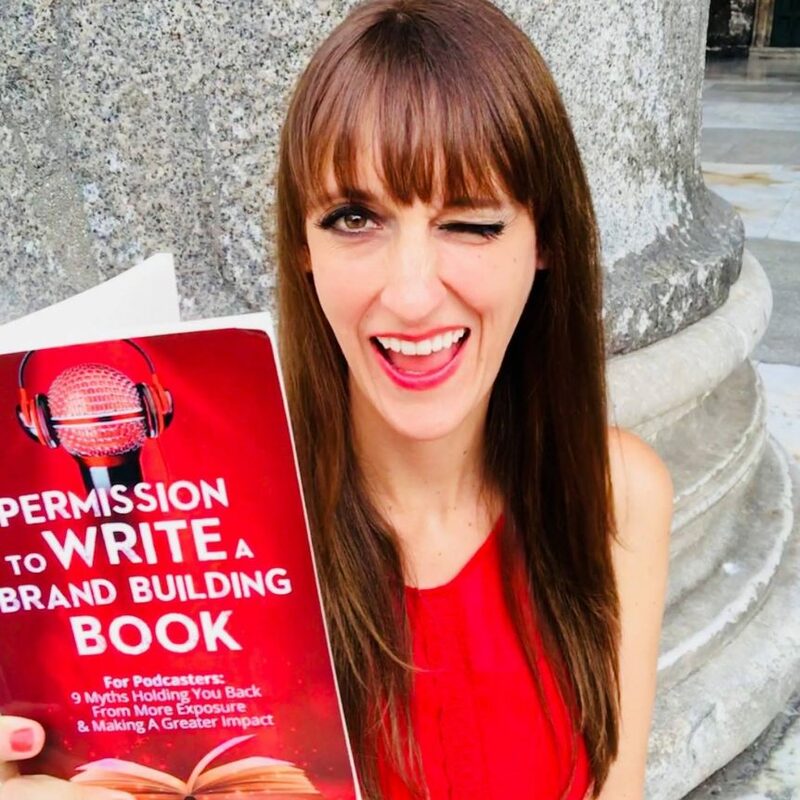 She’s written two books: “ “Copywriting for Podcasters” and “Permission to Write a Brand Building Book for Podcasters”, and both books hit #1 in their categories in the US and abroad. At We Are Podcast 2018, she’ll be bringing all of her copywriting expertise, and more, to our stage. We know that this is a podcasting conference, after all, and that’s exactly why we’ve brought Laura on board. As a successful podcast host herself, she has plenty of useful tips and hacks for getting your show to the top of iTunes. She also has a unique perspective on podcasts that sets her apart: she knows how to use effective writing to make your podcast stand out from the rest of the pack. While we might assume that podcasting is 100% dependent on verbal communication, there’s a lot you can be doing to bolster your podcast and bring in more listeners: blog posts, social media and even writing a book can all bring attention to your show. Laura runs her own business, also called Copy That Pops, that coaches fledgeling writers on how to access their inner Hemingway and become successful, published authors. With over 21 success stories, Laura has made it her mission to take ordinary people and turn them into extraordinary writers. For the last three years, Laura has been co-founder of another company called Podtent Marketing, a venture that helps established companies take their current content marketing strategy to another level by leveraging the power of podcasting. Laura often says that entrepreneurship didn’t come naturally for her. She describes herself as a “nerd” and someone who was more comfortable consuming books than socialising at a cocktail party. But Laura has made quite the name for herself as a speaker, motivator and life coach. Her content is firmly rooted in psychology, which she studied at UCLA, and she has a wealth of experience in education, having taught at both the high school and university levels. Maybe you’re an aspiring podcast host or an established brand that wants to use podcasts and audio marketing to reach a new audience. Or maybe you’re just an entrepreneur who wants to learn how to write better. No matter what, Laura has a unique perspective that can help you become a better business owner. Be sure not to miss Laura Petersen at We Are Podcast 2018, October 18-20 in Brisbane.